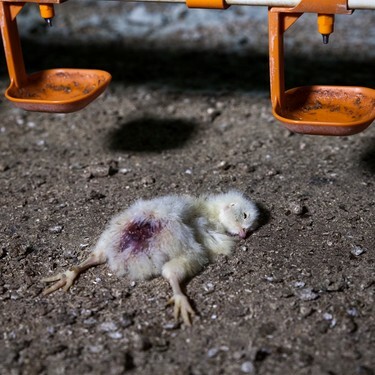 Not only the animals suffer terrible torments, also the human being is affected. According to a recent report, the practices of intensive chicken production contribute to the increase in antimicrobial resistance (AMR) in bacteria that are transmissible from animals to humans, such as Campylobacter, Salmonella and E.coli. For decades, mass animal farmers have been pumping antibiotics into the animals to make up for inhuman and disease-causing conditions. Now the bacteria fight back. The animals get sick because of performance breeding and in the mega cases. Politicians can not say that they do not know. They know it. Consumers know it. The animal welfare issue must be part of a general political and social rethink that does not subordinate the rights of animals to the economic interests of the dairy and meat industry.